(Trent Nelson | The Salt Lake Tribune) Solar panels on the roof of a Farmington home, Thursday July 14, 2016. 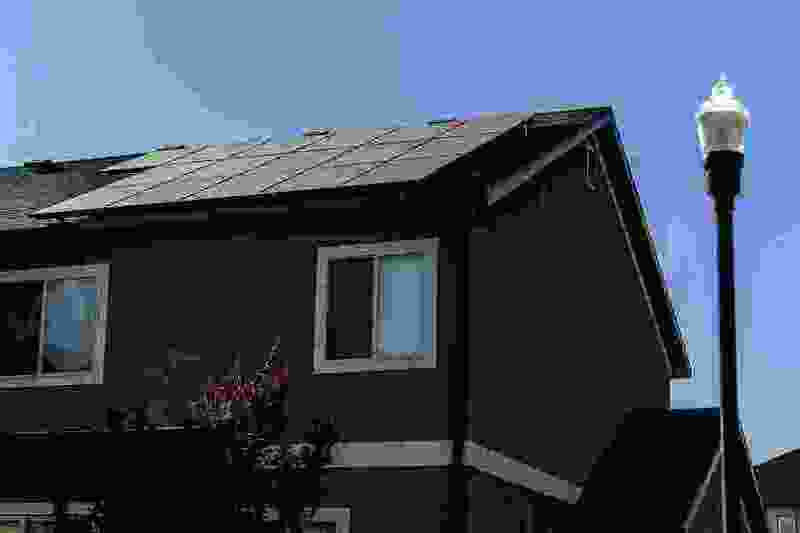 Ogden • New rooftop solar installations are down 23 percent after Utah’s main power company reached a deal to pay customers less for the power they generate. Rocky Mountain Power in a deal that went into effect in November phased out the net-metering program, which paid solar customers the market rate for their excess energy sent to the grid. New solar customers are in a transitional program that pays slightly less than market rates, which will last until 2033. The customers who installed solar panels before November are grandfathered at the previous rates until 2035. Nearly 9,400 customers installed new solar arrays from 2017-18, according to the utility’s most recent net-metering report. About 12,400 new rooftop solar installations were reported in 2016. The utility has more than 30,000 solar customers in total. "The low-hanging fruit is already taken," said Ryan Evans of the Utah Solar Energy Association. "Those people interested in solar, if they'd been looking, they went for it in 2016" before net-metering phased out. Rocky Mountain Power sought the rate change, arguing that net metering passed costs on to non-solar customers. The utility reached a deal with groups like Utah Clean Energy and the Utah Office of Consumer Services to change the rates. Solar customers grandfathered into the net-metering program or in the transitional program have a year to use credits to offset their bills. If customers generate more solar credits than what they require to power their homes, the credits will be forfeited.